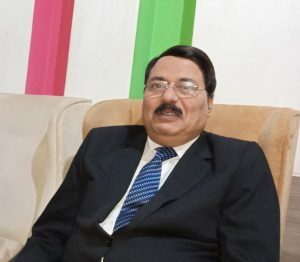 By Bizodisha Bureau, Bhubaneswar, January 31, 2019: Union mines secretary Anil Mukim on Thursday called the aluminium makers to focus on reducing production costs, to step up value addition and focus on creating wealth out of waste in the face of continuing downturn in aluminium markets. “Collection of scrap and its processing needs to be taken up by aluminium companies. This will help in developing circular economy in the country. At least 75 per cent of the ingots need to be processed by the downstream industries located around the mother plant”, Mukim said while speaking at the International Conference on Aluminium (INCAL) 2019. As on Wednesday, aluminium prices on the London Metal Exchange (LME) have slid to $1870 per tonne from the multi-year highs of $2602 in April 2018 after the US treasury clamped sanctions on UC Rusal, sending global aluminium markets into turmoil. Still worse is the fact that the domestic aluminium producers have also been rattled by hardening of input costs of coal, caustic soda, coal tar pitch and calcined petroleum coke. As a fall out of input commodity inflation, aluminium smelting costs for all the three primary producers- National Aluminium Company (Nalco), Hindalco Industries and Vedanta Ltd were hovering around $2000 a tonne. Stating that only 17 per cent of the country’s bauxite resources have been exploited, he called upon the aluminium industry to focus on exploration and develop technologies to process low grade bauxite as well as developing technology to extract alumina from PLK (Partially Laterised Khondalite) which are now being taken out as overburdens and used for mine filling. Speaking on the occasion, Odisha’s industries department principal secretary, Sanjeev Chopra said, the upstream industry landscape is home to leading domestic and international companies such as Nalco, Hindalco and Vedanta with a capacity of over 600,000 tonnes per annum. “As per the Vision 2030 of the State Government, the goal is to add value to at least 50% of the primary metal produced in Odisha and develop industry-ready infrastructure to attract downstream and ancillary industries in the metals sector – steel, stainless steel and aluminium. A dedicated private industrial parks policy has been promulgated already. Leading corporates such as Vedanta, Nalco, JSPL and Jindal Stainless are in advanced stages of setting up downstream parks in the State,” he added. 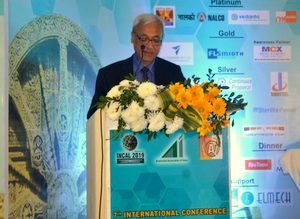 Nalco’s chairman and managing director and chairman of Aluminium Association of India (AAI) T K Chand stressed on proliferating the use of aluminium in automotive sector. Vedanta aims to cut down cost of its aluminium production to $1,700 per tonne from over $1,900 by the end of this financial year, Dixit said adding that the company is now working on a plan to reduce our production cost by the end of this year. “The work to this effect has already started,” Dixit added.